I remember getting called out during that parent-teacher conference like it was yesterday. “He has a lot of trouble working independently. 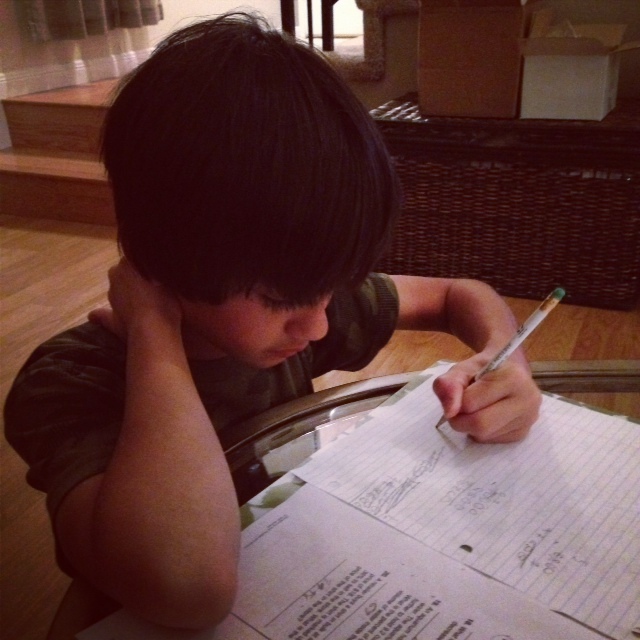 Do you help him with his homework?” Boy Wonder’s fourth grade teacher asked. “Well, yes. It’s the only way I can be sure he’ll get it done.” I sheepishly admitted. “You need to stop. By fourth grade, kids need to know how to follow directions and work on their own. This shift really needed to happen last year,” she schooled me. “Oh, um. I didn’t know. I thought helping him was a good thing.” I muttered under the weight of her judgy stare. “It’s not,” she warned, “if he has a specific question, you should be available to help, but you shouldn’t sit there and do his work with him. No one does that for him in the classroom. How long do you spend a night on homework?” she asked.